In the midst of the African American liberation struggle, protests to end the Vietnam War and the women’s movement for equality, Puerto Rican and Latinx communities fought for economic, racial and social justice. From the streets of Chicago to the barrios of New York City and other urban centers, the Young Lords emerged to demand decent living conditions and raised a militant voice for the empowerment of Puerto Ricans and other Latinxs in the United States and for the end to the colonial status of Puerto Rico. ¡Palante, Siempre Palante! 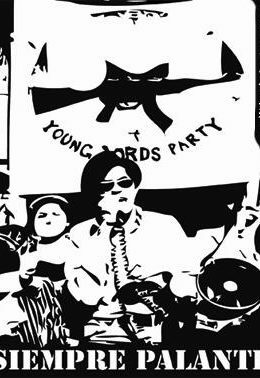 The Young Lords documents the period from 1969 through the organization’s demise in 1976. Through on-camera interviews with former members, archival footage, photographs and music, the documentary surveys Puerto Rican history, the Young Lords’ political vision and actions, and the organization’s legacy.